The second annual Anger Games tournament. Image: CCP, screenshot courtesy user Razorien. Layoffs at EVE Online publisher CCP Games weren’t supposed to affect players, but they have led to the cancellation of a popular fan tournament. The Anger Games, a player-organized tournament with a massive pile of in-game credits at stake for the winners, was supposed to have its third annual run last weekend. 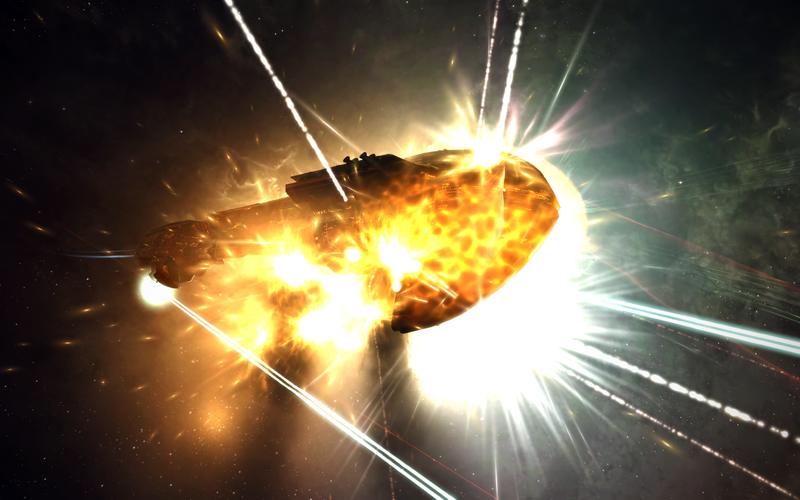 Set up in the spirit of the official CCP-run Alliance Tournament, The Anger Games seeks to provide one of the most rare things possible in EVE—a fair fight. For the games, all players are given the maximum skill levels in all applicable skills, and a shared set of ship building restrictions to ensure that both teams are on the same power level at the start of the match. But as more and more of the names of the laid-off employees became public, it became clear that the vast majority of CCP’s Community Team were a part of the nearly 100 employees being let go. A full list of the layoffs was not published, but a former CSM said on Reddit that at the end of the day, only four members of the community staff remained with the company. This list of layoffs included a fan-favorite community developer CCP Logibro. Among Logibro’s duties were helping players organize and run PvP tournaments, like Anger Games, on a sterile test server called Thunderdome to ensure the balance of the tournaments were preserved. Logibro assisted tournament organizers and team captains in getting all participants enabled and prepared to play on Thunderdome, and would generally be around during tournament play to make sure everything went smoothly. Even after finding out about his upcoming termination, CCP Logibro apparently did what he could to make sure that players’ plans for the tournament would go ahead. Anger Games organizer Sothrasil informed teams via Reddit that Logibro had emailed him on the day of the layoffs to assure him that the server would be updated prior to the matches, as planned. Unfortunately, just three days before the tournament was supposed to start, Sothrasil was forced to send a disappointed message to each of the team captains. Due to the chaos surrounding the layoffs, EVE senior game designer CCP Fozzie had to inform Sothrasil that he was unable to make the necessary upgrades to the Thunderdome server in time for the tournament. This left no choice but to cancel the tournament just days before it was set to start. Most posters seem to take some solace in Falcon’s words, but a few took the opportunity to remind CCP of its promise that EVE would not be adversely affected by the layoffs. This event has placed a cloud of doubt over the EVE community, and caused a rift between some players and the remaining members of the community team. Tournaments like the Anger Games provide a unique way for EVE players to display their skills and require months of dedication and practice to prepare for. Seeing that time wasted through no action of their own has left the tournament staff and participants feeling like CCP dropped the ball. It’s likely that in time, the players will forgive, the teams will reassemble, and, assuming CCP is willing, the Anger Games will continue. But for now, those pilots will have to find other ways to vent their in-game aggressions.